Dashingly attractive, fox-like and independent, and immeasurably confident, the Shiba Inu is one of the most loved canines in the world. Known for their fiery and courageous personality, these little guys are graceful, intelligent, and proud. They think highly of themselves—but not to a fault—and are steadfastly loyal to those they love. Their squinty eyes and pricked ears almost lend themselves more to something outside of the dog species, and their deft movements carry an air of superiority not often seen in canines. They’re a great family dog, but can be stubborn and independent, although these are traits that make them coveted by some owners. 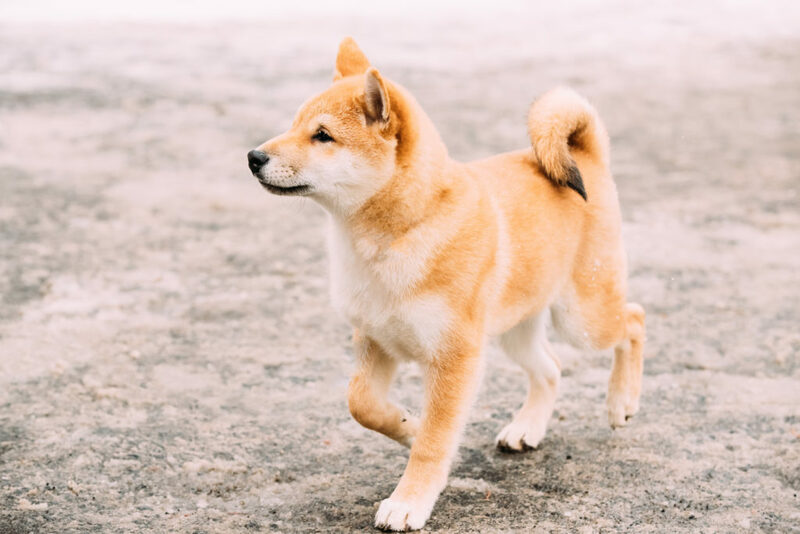 If you’re on this page, you might be considering purchasing a Shiba Inu, or perhaps you just purchased one and now you’re doing the proper research—so first and foremost, these are phenomenal canines with well-rounded personalities. Don’t expect a bumbling socialite from your Shiba, nor should you be disappointed if he isn’t completely docile and welcoming, but do expect a dog that will love you to the end of your days. 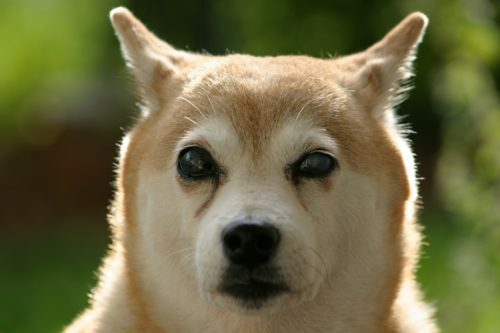 The Shiba Inu is possibly—although there’s no factual evidence to support this—the most ancient of all hunting dogs in Japan. They were originally bred for smaller game and to act as ‘pointers’ for hunters, meaning they have a strong prey-drive, a large intellectual capacity, and a keen sense of smell. Their versatility paired with their autumn fox-like coats made them an instant favorite. Hunter’s trained them for the field, then encouraged their independence. 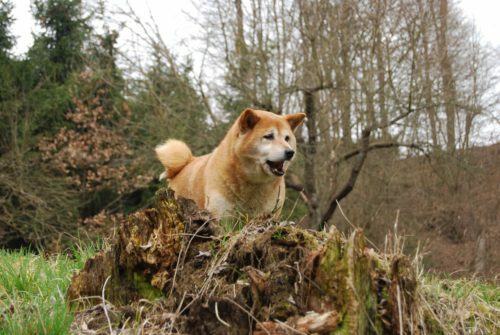 WWII nearly wiped out the breed entirely, but afterwards, several breeding programs formed to preserve the line, and they streamlined the Shiba Inu that is known today. The reason this brief history is important, is that any dog with the ‘hunt’ in their blood is usually prone to be aloof, stubborn, protective, and prey-driven. These are all factors that greatly affect the Shiba Inu personality and temperament. A responsibly bred and properly raised Shiba Inu is bold, stern, and affable. But despite that, they’re incredibly independent. It’s one of those ‘hate it or love it’ traits, and the core substance which makes this dog unique. They like to think for themselves, challenge their owners, and disregard their obedience training. Although they’re a fantastic hunting dog, that doesn’t mean they’re docile. They love to operate on their own time and make decisions that benefit them exclusively. With that being said, they’re extremely possessive. They often guard their toys, food, and family with adamant ferocity. This can become aggressive behavior if it isn’t addressed, but they have a natural tendency to be tenacious. They don’t pair well with other dogs. This is one of their most notorious qualities. Often they want nothing to do with them, and if they feel the other party is impeding upon their territory, they’re the first to make a stir. Quick to throw their weight around, if a Shiba feels their dignity is threatened, they rise up in defense. In addition, they’re not the best with children. Because they like to guard their possessions and territory, often a youngster will overstep their boundaries and abuse a Shiba’s personal space. This can cause them to lash out or nip at the children. Just as well, due to the Shiba’s inherent prey-drive, they’ll chase the little ones (and little animals outside too) around the house, and often play a bit too aggressively. But, what you should expect from a Shiba Inu is a loyal companion to the family, one both playful and affectionate. Although they might always—despite their early socialization and training—be a bit aloof towards strangers and especially other canines, within the home they’re nothing but loving. When it comes to training a Shiba Inu, their personality certainly becomes an obstruction. They’re not all that docile and often get a kick from challenging their masters. They prefer work on their own time and don’t have a problem expressing that affinity. It’s imperative that you send your Shiba Inu to puppy classes. Let’s first start out by saying these dogs are prone to canine aggression. They were bred to hunt and think independently and were never a pack dog. They prefer to be the only canine in a situation, and more so if they’re around those they love. Due to their possessive-natured personalities, when other dogs migrate towards their self-proclaimed territory, they act out in response. There are ways to curb this aggression of course—and it’s often most common in males—but their propensity to jump at other dogs is quite noticeable with this dog breed. They can also be aggressive with cats, as they’ll chase them around as if they’re game. That’s why it’s generally advised for a Shiba Inu to be introduced to a home absent of young children and felines. Just as well, they can be incredibly anxious. Many breeds are prone to have separation anxiety because they’re needy when it comes to attention, but this is not that type of anxiety. 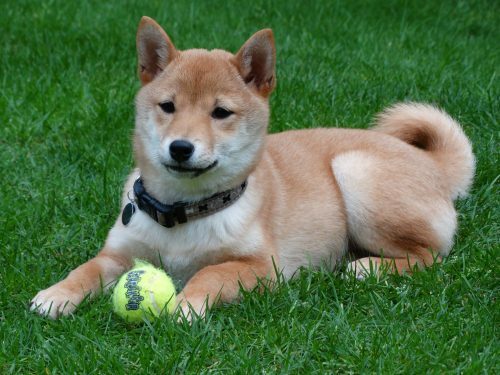 Shiba Inu’s are hyper-alert, which makes them sensitive to their environments. If there’s a change occurring and it’s not to their liking, they can whimper, shake, and pant. If the anxiety is consistent, they can turn destructive within the home. It’s important to have this awareness, as anxiety can snowball and become a serious behavioral problem if not properly addressed. Their extreme assertiveness is a close cousin of mischief. It’s that ‘hate it or love it’ characteristic, but it becomes a problem when trying to train Shiba Inus. They’ll simply decide they don’t feel like learning, and then try and overrule your leadership. If you’re too firm, you run the risk of hurting your pups feelings (although this breed does indeed demand an alpha in the home) and if you’re too soft, he’ll walk all over you. But don’t be dissuaded, as this independent and dominant temperament is also what allows this dog to shine. They’re incredibly assured and want you to know that. Just as well, they’re very excitable and happy canines. They’re good-natured within the home, and while they take a bit to warm up to people, once those walls start dropping the reward is certainly worth the patience. As you can conclude by now, the Shiba Inu isn’t for everyone. While there are ways to curb many of these ‘negative’ characteristics, this dog is a character. They’re naturally aloof towards others, territorial, stubborn, and independent. While these tips will help you cultivate better behavior and a bit more extroversion, they’re not going to change the breed’s personality. If you’re looking for a dog that’s going to love everyone unconditionally, isn’t going to require excessive work with training, and won’t be aggressive towards other animals, a Shiba Inu might not be the right dog for you. But, if these dogs are raised properly and their personalities are the sort you covet, then they’ll become affectionate and loyal canines that’ll complement your family dynamic beautifully. While you can resort to training them on your own at home, this is a breed that benefits immensely from training classes. Bullheaded and stubborn, the Shiba Inu loves to challenge their owner at every turn, due also because they’re intelligent enough to do so. A professional will help mitigate this rebelliousness and develop a higher likelihood of them being docile. The Shiba Inu actually enjoys the mental stimulation they receive from training, even though they can be fickle, and they thrive when they have a job to do (remember they’re hunting dog in origin). This same intelligence is what allows the Shiba Inu to take their lessons from puppy class and incorporate them into the homestead. Not only that, but puppy classes will also help socialize a Shiba Inu, which happens to be another necessity and the second tip. Since these dogs are naturally aloof towards strangers and wary of other canines, it’s important that from the get-go you begin socializing your pup. This means in your dog’s earliest youth he needs to be exposed to other strangers, environments, and canines. Don’t be lazy with socialization, as the further he’s exposed in his early age, the more likely your dog is going to be less aggressive and introverted in adulthood. Take your dog on long walks around the neighborhoods, on any errands you’re running, to dog parks, and to meet other strangers. As the socialization process meets puppy classes, you’ll also be able to incorporate obedience training into these sessions. The more you socialize your Shiba Inuthe better the chances he’s going to be warmer to others. While positive reinforcement is certainly the way to enforce obedience training with a Shiba Inu, their challenging nature requires a strong alpha presence to control. If you’re not assertive about your role within the household, they’ll take that as weakness and try and find more opportunities to rebel. These are hunting dogs used to firm instruction, a job to do, and an alpha leading the party. So long as you iron out the parameters of this relationship, your Shiba Inu will likely be a lot more docile. 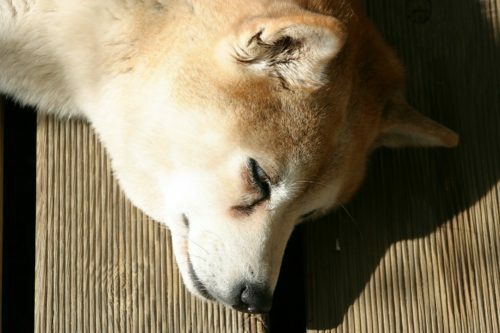 A tired Shiba Inu is a better behaved Shiba Inu, both intellectually and physically. Make sure every day your pup is receiving the proper exercise and that in some way you’re challenging his intellects. These two types of stimulation can happen at once; you could teach him a new game in the yard or incorporate ‘tricks’ into his workouts. So long as your dog feels there’s a job at hand or something to think through, then your dog will be engaged. If your pup is engaged he’s more likely to respond to his training. You are now aware that the Shiba Inu is quite the dynamic breed. Proud and independent, often owners seek them for the very reason others stay away; their domineering and fox-like personalities. If you take the proper steps in raising this breed, their personality and temperament shouldn’t be as extreme and bullheaded as they’re often regarded. These are hunting dogs with sharp intellects, steadfast confidence, and unfaltering love and loyalty for those they call family. “Shiba Inu Dog Breed Information, Pictures, Characteristics & Facts – Dogtime.” Dogtime, Accessed 26 Sep. 2017. www.dogtime.com/dog-breeds/shiba-inu#/slide/1. “Shiba Inu – Temperament & Personality.” Petwave, 30 Aug. 2016, Accessed 26 Sep. 2017. www.petwave.com/Dogs/Breeds/Shiba-Inu/Personality.aspx. “Shiba Inu Dog Breed Information.” Vetstreet, Accessed 26 Sep. 2017. www.vetstreet.com/dogs/shiba-inu. “Shiba Inu | Dog Breed Facts and Information.” WagWalking, 23 Nov. 2017, Accessed 26 Sep. 2017. www.wagwalking.com/breed/shiba-inu. Kriss, Randa. “Shiba Inu Dog Breed Information.” American Kennel Club, 6 Nov. 2017, Accessed 26 Sep. 2017. www.akc.org/dog-breeds/shiba-inu/.